Freestyle High Heel Features: 1/8” semi-flexible Triton shell (comparable to popular thermoplastics) and a full or sulcus length top cover with 1/8” EVA. An hour glass shape and no shell in the heel offers better shoe fit. A suede bottom cover under the entire device. The Freestyle High Heel is good for everyday use. 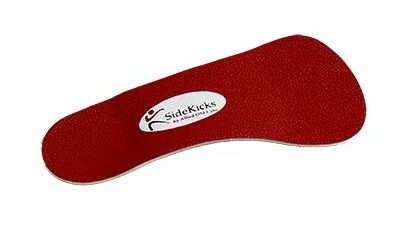 It is designed for women’s dress shoes to provide support in low countered shoes. Treatment for plantar fasciitis or heel pain.